Tencent Games has begun registrations for its biggest official PUBG Mobile tournament in India. 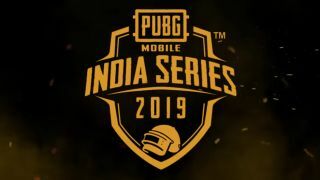 The PUBG Mobile India Series 2019 arrives with a prize pool of Rs 1 crore, where local squads will be facing each other to fight out for the top 20 spots and increase their chances of winning the humongous prize money. The registration for the tournament has begun and will go on till January 23. Registrations are completely free and open to all, there is no entry fee involved to allow each and every player a fair chance to participate. The registration for the tournament has begun and will players can register till January 23. Those interested can head over to the PUBG Mobile India Series 2019 registration page and sign up. Once done, the players need to create a squad and invite their friends or they can simply join an existing squad by entering the squad ID. You must note that all the rounds will be held in Asia server with all the squads playing in TPP (third-person perspective mode). Note that only players at or above level 20 will be eligible to register and participate in the tournament. Once the registration is done and the squad is ready, the next step is to play 15 classic matches with the squad in Erangel. Out of which, 10 best rounds will be considered for the next round. These 10 rounds will qualify based on a number of factors including kill count, rank, survival time, accuracy, team play etc. Next comes the online playoffs, which will be held between February 10 to February 24. During the Round 1 playoffs between February 10 to February 15, only top 2000 squads will qualify and will be divided into 100 groups with 20 squads per group, which will then play against each other as a knockout match and the top 4 squads from every group will head into the next round. The Round 2 of playoffs will take place from February 16 to February 19, where top 400 squads which survived Round 1 will be divided into 20 squads per slot. Out of these, top four squads from each slot will proceed to the third round. The Round 3 will begin on February 21 and will last till February 24. It will feature 80 squads slotted into 4 groups of 20 squads each, which will go head to head and the top 5 squads will make to the grand finale. The PUBG Mobile India Series 2019 grand finals will be held in March and will feature the top 20 teams that will play one last round for the royal chicken dinner! PUBG Mobile India Series 2019: What’s in for the win? The winners of the PUBG Mobile tournament will get a cash prize of Rs 30 lakhs while the squads finishing at the second and third position will be awarded Rs 10 lakhs and Rs 5 lakhs respectively. Moreover, there are some individual awards and titles for players based on their skills and achievements. Each of these awards come with a cash prize of Rs 50,000. These awards include the ‘MVP Award’, which will be given to the player with most kills at the end of the tournament. The squad with the most number of kills will be bestowed with the title of ‘The Exterminators’. Similarly, ‘The Healers’ will be awarded to the squad with the highest number of revives. The player with the highest amount of health restored will be given the title of ‘The Redeemer’. The player who survives the battleground for the longest time will be awarded the title of ‘The Lone Ranger’. Finally, the player with the most number of kills in a single game will be given the award of being ‘The Rampage Freak’.